Fifth grade transfer student from Tokyo. With the daily log, she can remember the events of the day pretty quickly, so she likes writing and reading it a fair bit. First grader, the youngest of the five students at Asahigaoka Branch School. She tried disposable chopsticks and bamboo strips, but toothpicks really hold it together the best. Seventh grader at Asahigaoka Branch School. Kinda weird that the logbook goes around once every three days, huh? 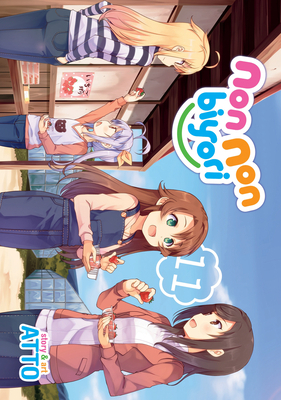 Atto is a Japanese artist best known as the creator of Non Non Biyori.